Nur and her brother Mohammed Belal fled their village in September 2017 after the Myanmar military attacked it. “They were killing our parents in front of us, I felt very afraid and escaped,” she says. Now she has settled at the shelter for unaccompanied children, saying that she likes the fact she can play there. She also welcomes the regular meals, a contrast to her journey from Myanmar to Bangladesh, where she and her brother nearly starved. But she remains haunted by the trauma of recent weeks. “I miss my parents, my home, my country,” she adds. Rashida Begum arrived in Kutapalong camp in Bangladesh in spring 2017 and had nowhere to live. Her daughter Senuara went missing during the military offensive in Myanmar's Rakhine state and she fears the 12-year-old was taken by soldiers. "They gathered up the girls for sexual abuse and other purposes," she claims. "Whether she is alive or not, I do not know"
Now he dreams of returning to Myanmar - to find the 9 siblings that he was separated from as they fled the violence. 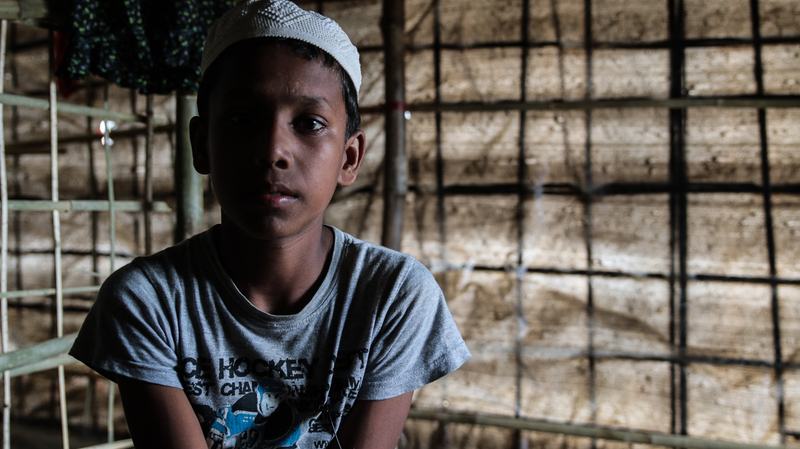 Mohammed Osman, 13, was studying in a village and living with his cousins away from his parents when the Myanmar military came. 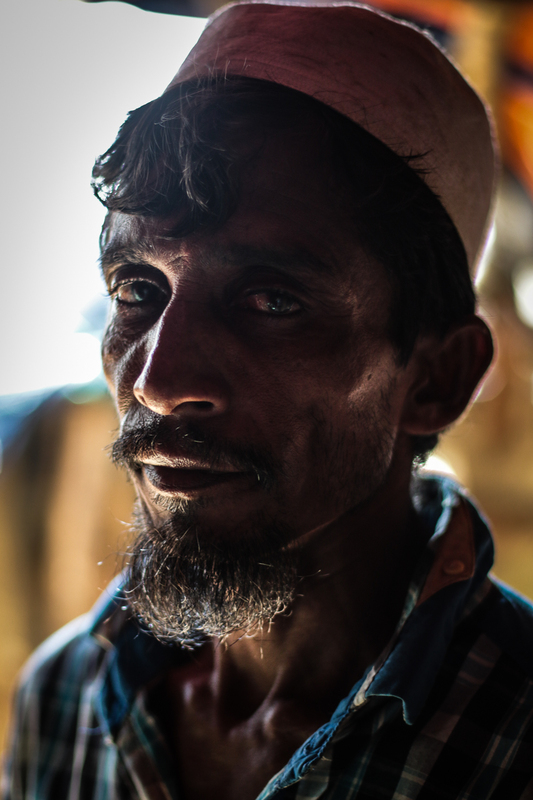 Like around 500,000 other Rohingya who left their homes over the course of late August and September 2015, he fled - only to hear from his parents' neighbours that they had been killed. "I have possessions, but I have lost my parents; that means I have nothing right now." 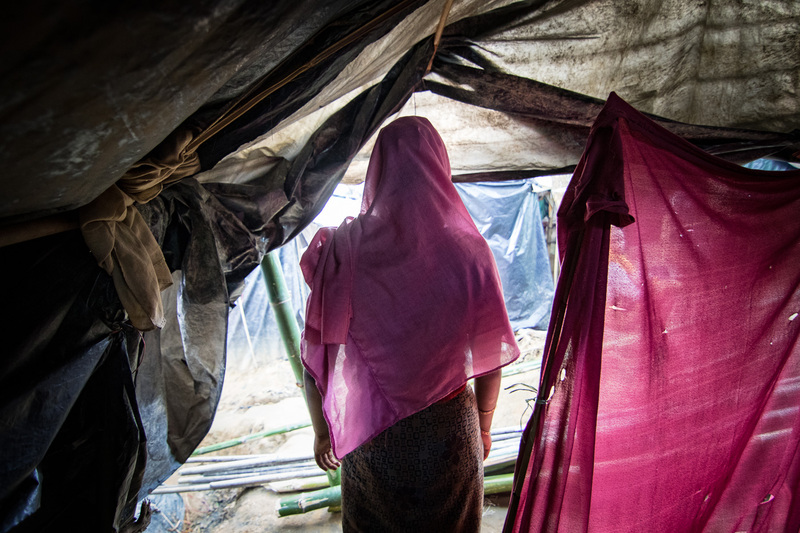 When the firing started, Sokina Khatun did all she could to protect the children with her - but she could not protect Yasmine, 15, and Jamalita, 20. 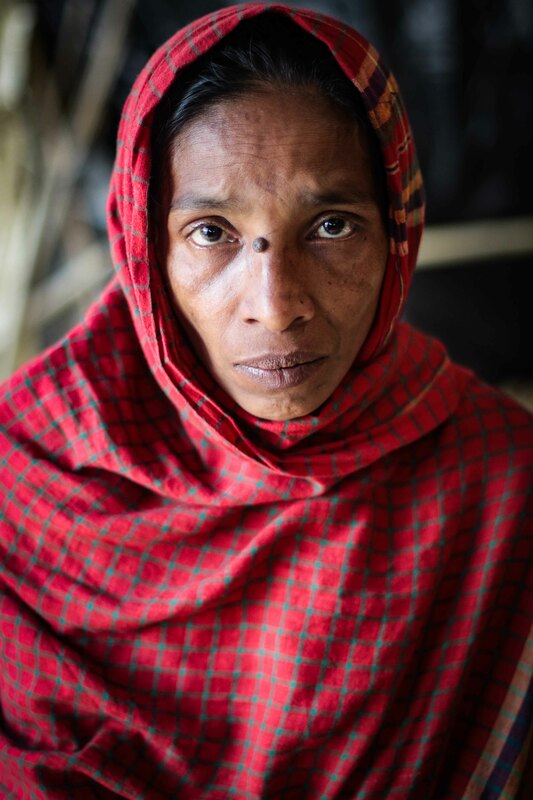 Sonia fled the village of Tulatoli amid Myanmar’s military offensive targeting the Rohingya with her husband and 9 of their offspring, but these two daughters were in a neighbouring village.“Their throats were cut in front of their grandmother and grandfather,” says Sokina. “I was numb, I couldn’t feel the pain of what had happened - all I focused on was protecting my children.” Memories of home hit especially hard when she is cooking, she explains. “Right now my mind is not normal,” she says, matter-of-factly. 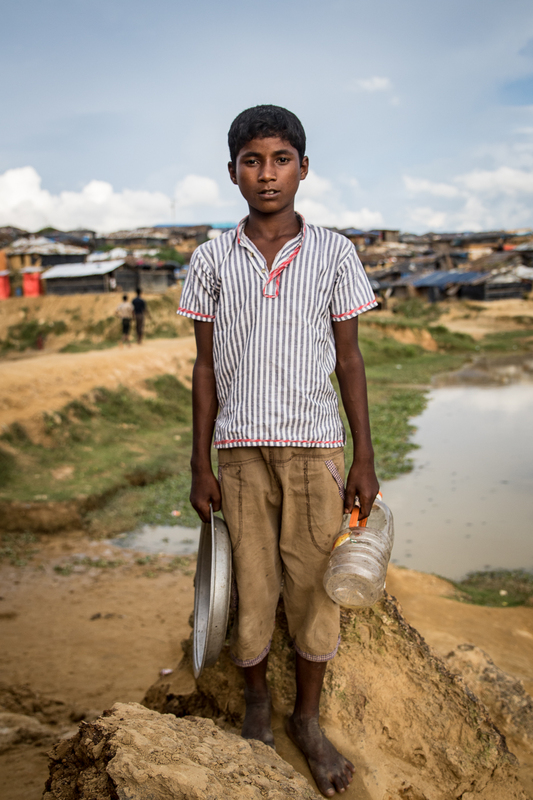 Mohamed's father Rahman Ali died just a few weeks before the military offensive on in September 2017, but he thinks his mother died in their family home in Buthidaung, Myanmar. "They set fire to my home and my mother was ill so she could not leave," explains the 12-year-old. "We couldn't bring her out and she told me please save yourself, don't worry about me." 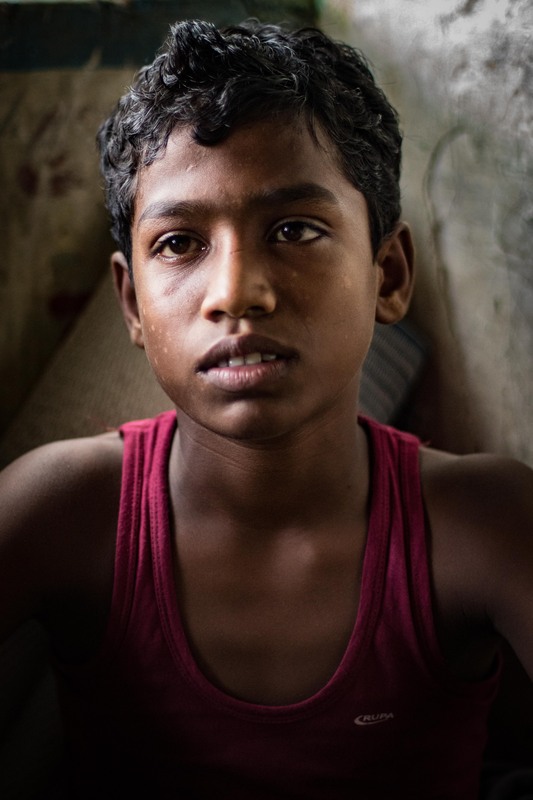 Mohamed now lives in an ad-hoc orphanage in Kutapalong refugee camp, Bangladesh. 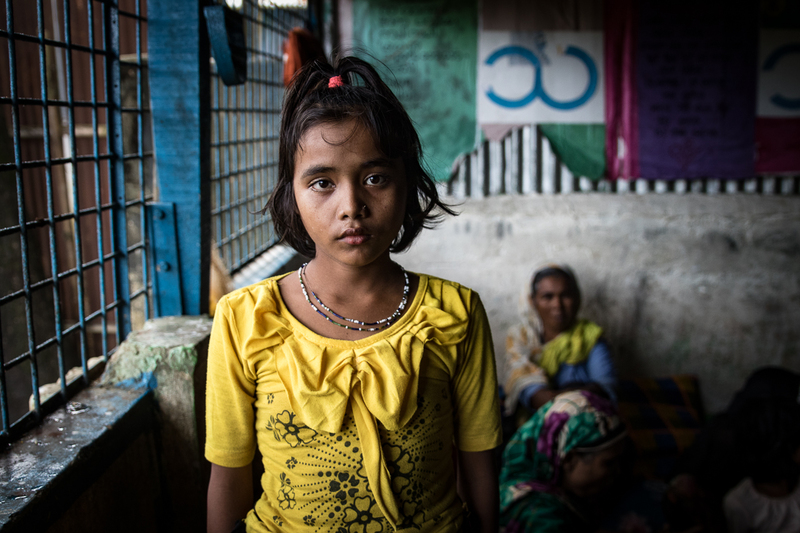 7-year-old Hosneara's father was killed in Myanmar and she now lives in Kutapalong camp with her mother. Now, Her 10-year-old brother, Muhammed, has gone missing. 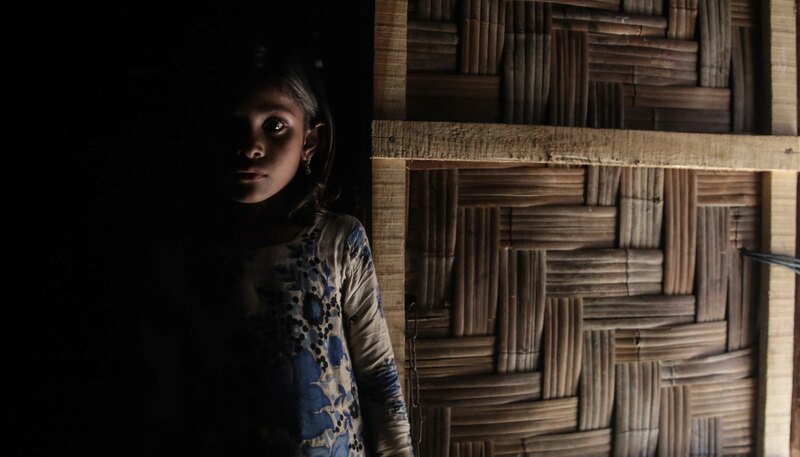 There are concerns that the children of newly arrived Rohingya are particularly vulnerable to abduction and exploitation. According to her mother, Hosneara cries for her lost brother, and fears she will never see him again.